The U.S. government began granting licenses to aircraft manufacturers Wednesday morning allowing the sale of passenger jets to Iran as part of last summer’s landmark nuclear deal, according to aviation sources. European company Airbus confirmed to Reuters it had received a U.S. license permitting the company to deliver its first 17 planes, A320 or A330 jets, to Iran. The Treasury Department is also expected to begin approving sales of Boeing jets within the next few days. "We understand that the U.S. government has issued Airbus a license to sell aircraft to Iran," Boeing said in a statement. "We believe their license application was submitted prior to our similar request and that the government follows a ‘first in, first out’ policy. We look forward to receiving our license from the government shortly." Iran has said it needs 400 planes to rebuild its commercial aviation sector following decades of international isolation. Boeing and Airbus have agreed to sell or lease more than 100 aircraft each to Iran’s national airline, IranAir, following last year’s nuclear agreement between Iran, the U.S., and five other world powers. 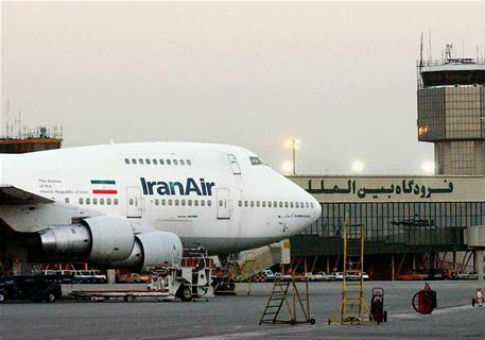 The Treasure Department has sanctioned IranAir in recent years for helping Iran’s Islamic Revolutionary Guard Corps "transport military related equipment." This entry was posted in National Security and tagged Boeing, Iran, Iran Nuclear Deal, Treasury Department. Bookmark the permalink.